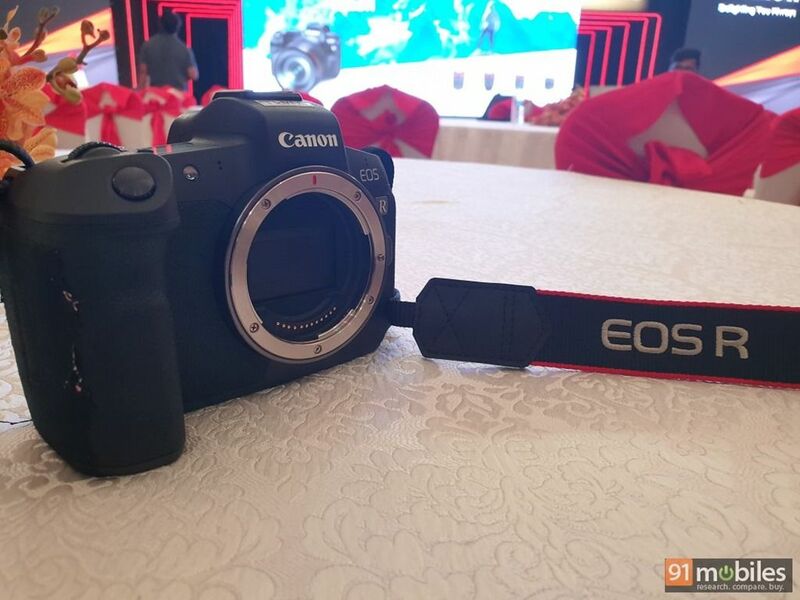 It was in April this year when the Japanese giant Canon entered the mirrorless camera segment in India. The brand offered a compact shooter at an attractive price tag of Rs 61,995 with its M50 camera. 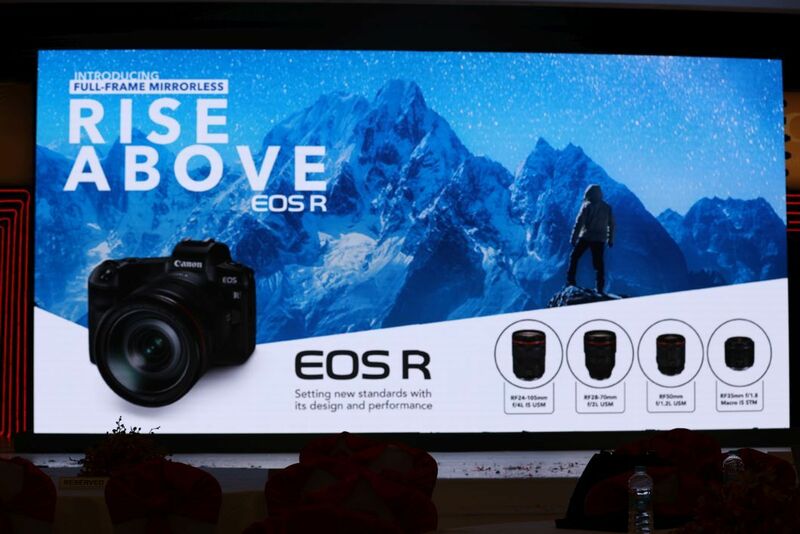 However, considering the interest in the full-frame cameras has been picking up, the brand has now introduced a professional-grade 35mm camera in the form of the EOS R. With a starting price tag of Rs 1,89,950 for the body only, the latest offering from Canon isn’t for everyone, though it does pack in a lot of goodies to appease buyers. 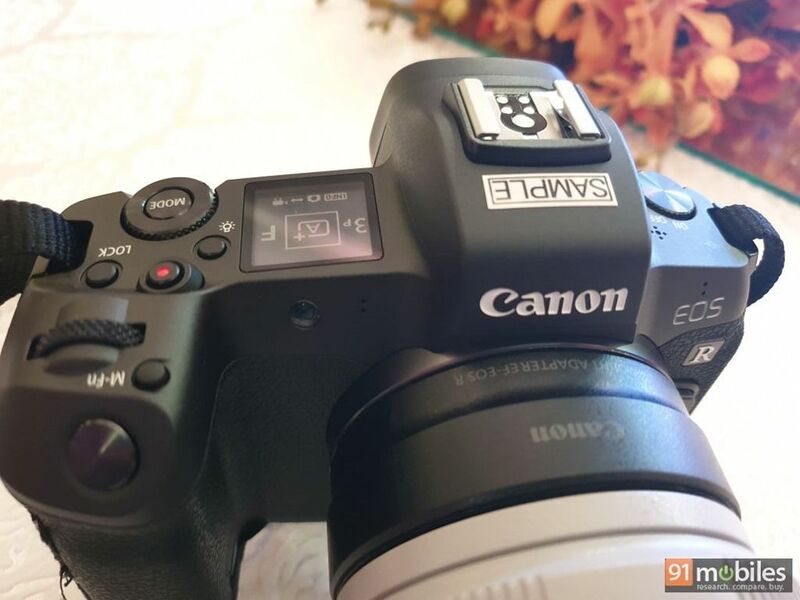 While only time and our review can tell how good the device is, I managed to spend some time with the Canon EOS R to give you my initial impressions. 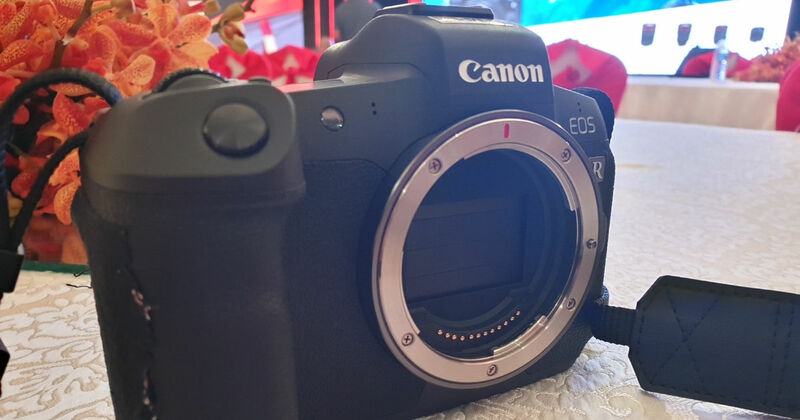 While mirrorless cameras are supposed to more compact as compared to DSLRs, the Canon EOS R looks and feels like one that belongs to the latter category. Weighing in at 660g for the body, it’s relatively heavy, though that also means that it offers a reassuring feel in the hand. 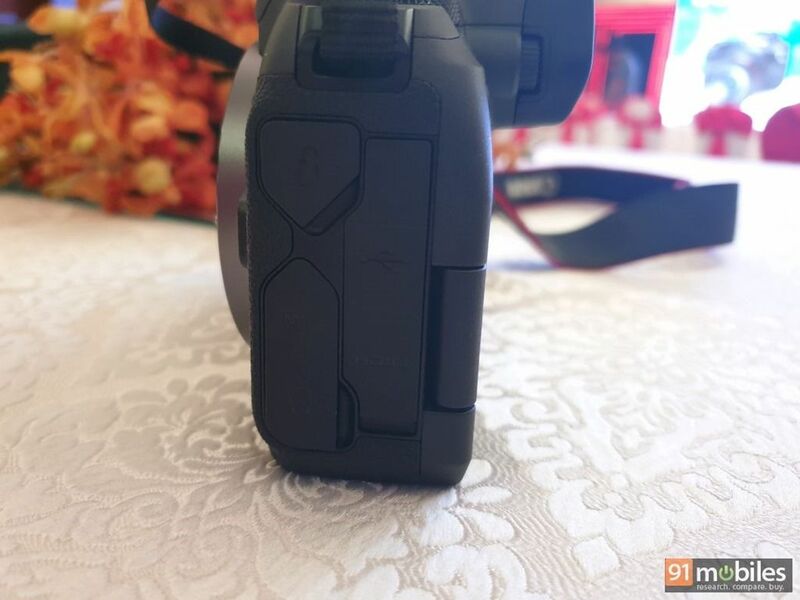 The fact that magnesium alloy has been used for its construction means that the camera is well built, and thanks to rubberised grip, the device can be held for long durations easily as well. The Canon EOS R features a 3.1-inch vari-angle touchscreen which offers good colours and is sharp as well with 2.1million dots. In terms of ports, the shooter offers a microphone socket, a 3.5mm port, an HDMI port and a USB-Type C port on the right side, while the left edge is home to the SD card slot. Worth mentioning that the latest offering from Canon is weatherproof as the ports are sealed by rubber flaps. 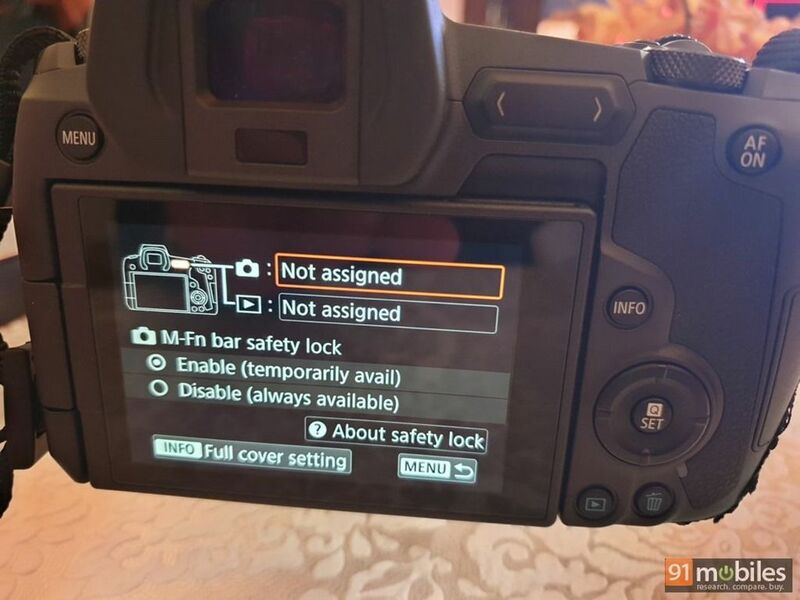 While it’s obvious that using any new camera will require a bit of a learning curve, the EOS R will require users to relearn controls even if they are existing Canon users. That’s because several of the usual controls are missing, and the device comes with quite a few new ones too. For instance, there’s no mode dial, and in its place resides a toggle which lets you change the modes onscreen. There’s an M-Fn sliding touch panel as well, which can be customised to the desired setting, and you can tweak that by simply moving your thumb on the bar. 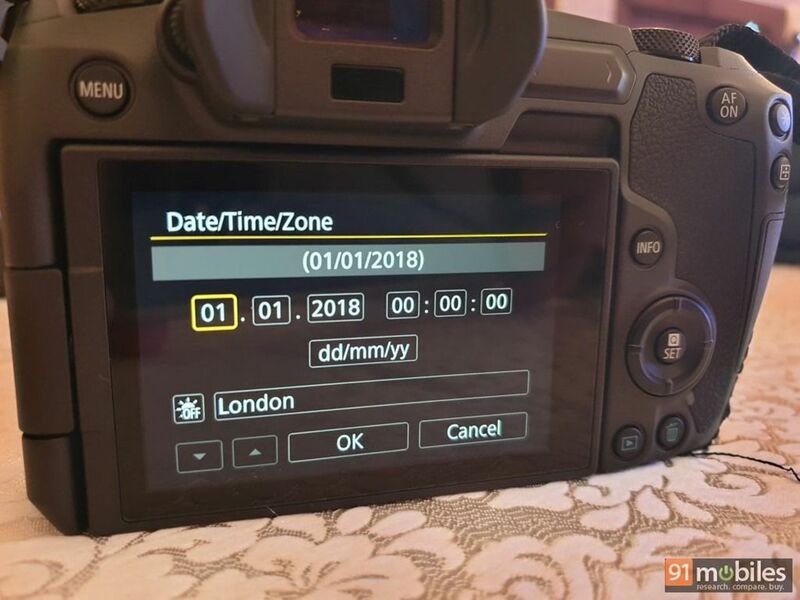 What I really like is the LCD on top of the camera, which provides a lot of information and will prove handy to get at-a-glance info of the settings. As far as the specs are concerned, the Canon EOS R ships with a 30.3-megapixel sensor. 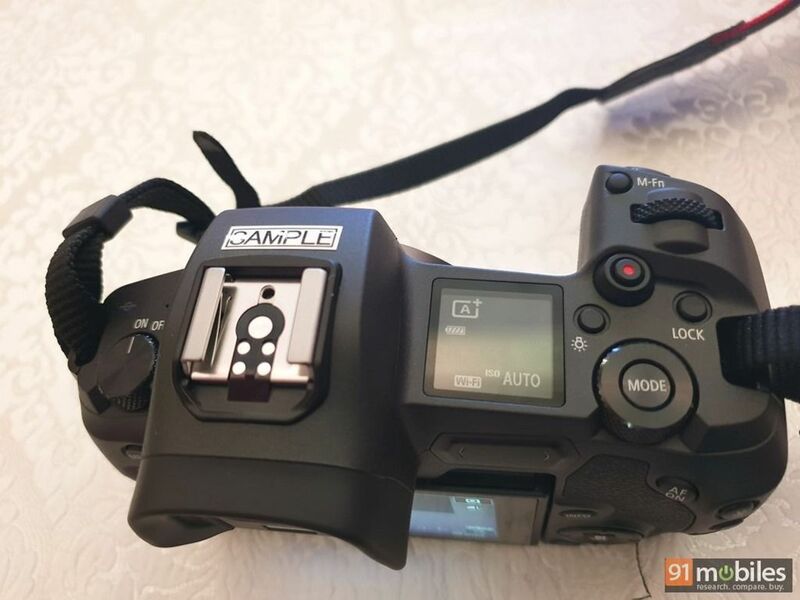 The camera supports phase detection autofocus for locking the focus in a jiffy (the brand boasts the world’s fastest autofocus speeds of 0.05 seconds), and has an impressive autofocus system of 5,655 AF points. The camera comes equipped with the brand’s latest Digic 8 processing unit. The ISO ranges from 100 to 40,000, though it can also extend from 50-1,02,400. In terms of videos, the EOS R can shoot 1080p videos at 60fps and 4k videos at 30fps. Strangely however, the videos are captured with a 1.7x crop factor, which in a way defeats the purpose of the camera being full-frame. It’s also worth mentioning that the shooter doesn’t come with any in-built stabilisation, and relies on the lens stabilisation. This means that videos can only benefit from digital stabilisation. Canon’s EOS R also comes with an all-new RF lens system, which is 54mm in diameter. The Japanese brand is also highlighting the fact that it enables faster communication with 12-pin data system and a shorter 20mm back focus. 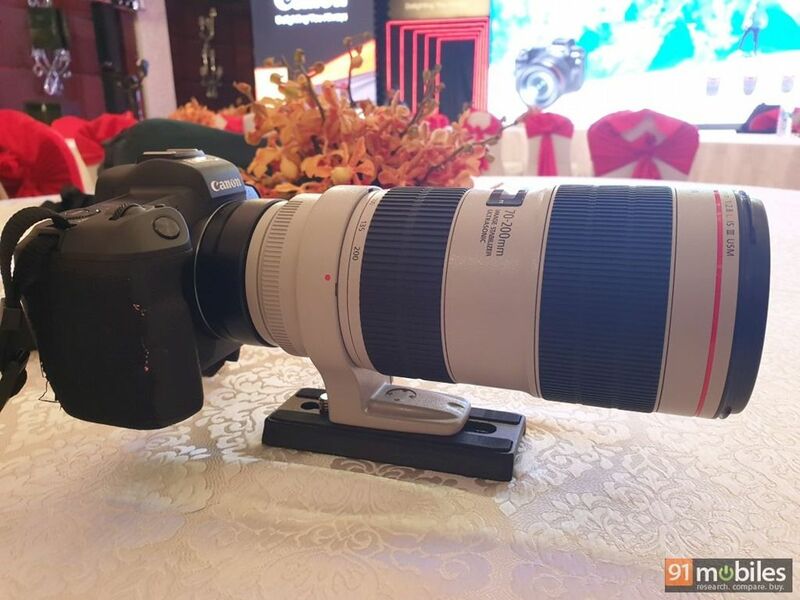 To accompany the new camera, the company has also announced four new lenses –RF 24-105mm f/4L IS USM, RF50 f/1.2L USM, RF28-70mm f/2L USM and RF 35mm f/1.8 Macro IS STM. While the first two lenses will start shipping from next month, the remaining two will be going on shelves in the month of December. 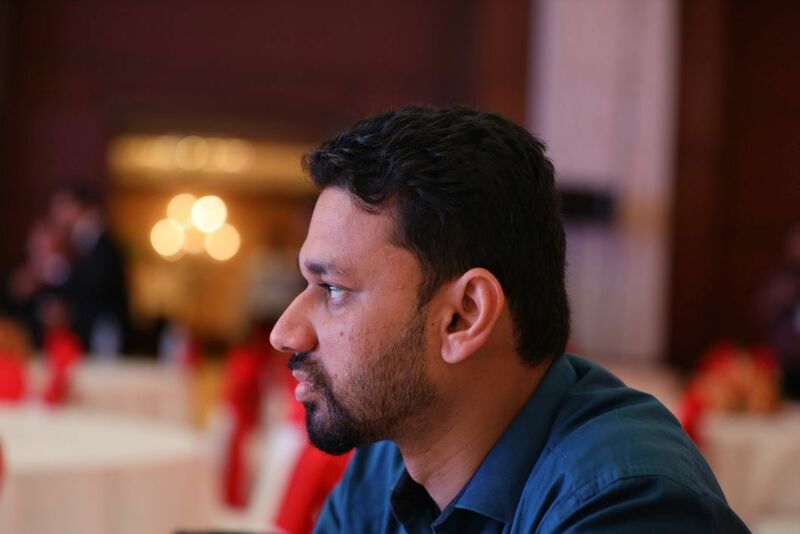 The prices of these lenses start from Rs 40,995. Unfortunately, I couldn’t get my hands on the new lenses to test the camera. 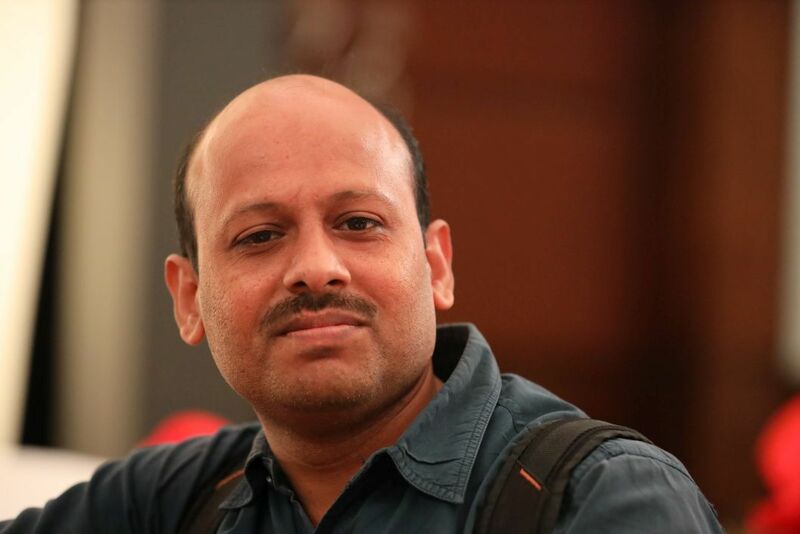 I did try the EOS R with a mount adapter – which retails for Rs 7,995 – and the brand’s 70-200mm EF lens. During my testing, the device was able to focus on the subject quickly (though the said lens isn’t ideal for using indoors) and shutter speed was decent too, even though it’s not the fastest I’ve come across. Perhaps that’s why burst shooting mode is limited to 8fps only. While we weren’t allowed to take camera samples, I was able to get them through the Canon Camera connect app, which utilised Wi-Fi to remotely control the shooter or transfer images. The shooter also comes with Bluetooth connectivity. Here are a few images for your viewing pleasure to judge the camera quality. The Canon EOS R will be going on sale from mid-October. 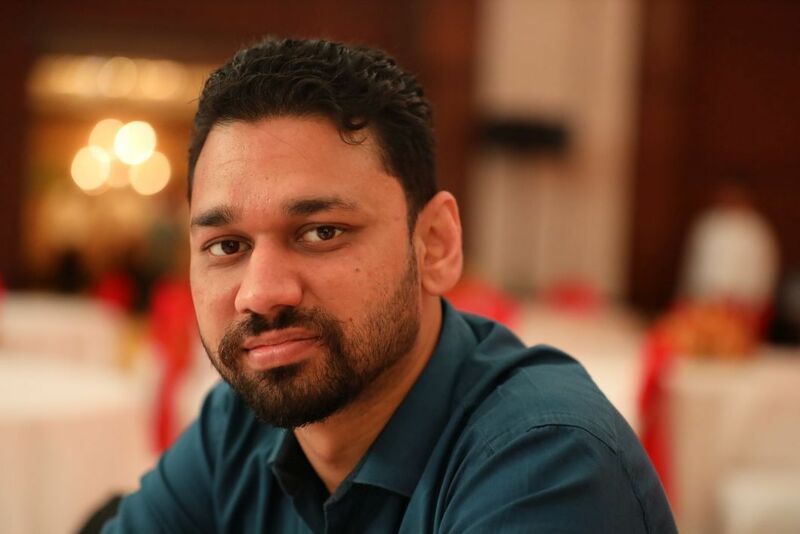 Along with the body-only option, the camera will also be available with the 24-105mm f/4 lens, with the package carrying a sticker price of Rs 2,78,945. While Sony has been the de facto leader in the mirrorless camera segment, both Canon and Nikon (with the recently-announced Z6 and Z7) have come up with powerful offerings to challenge Sony’s dominance. We’ll be putting the EOS R through its paces to see how the brand’s first full-frame mirrorless camera stacks up against the competition, so keep an eye out.